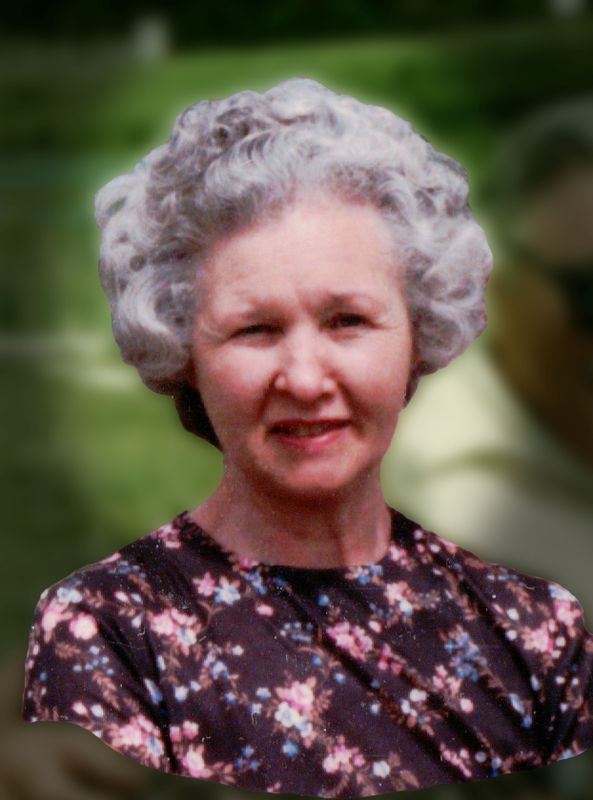 Clara Harding Koca, age 84, of Milo, Missouri, passed away July 5, 2015, at Stockton Nursing Home. She was born June 16, 1931, in Colorado Springs, Colorado, to Clifford Eugene Harding and Elsie Christian Harding. She grew up on a farm near Peyton, Colorado (near Colorado Springs). She stated that her girlhood home was at the base of Pike’s Peak. She had two brothers, Clifford Eugene Harding, Jr. and Raymond Roy Harding. Raymond died at the age of one month of pneumonia. Clara also had a sister, Barbara Harding Nikodim. As a child, Clara attended grade school and then high school in Peyton, Colorado. When Clara was in high school her family moved to the family farm near Virgil City, Missouri. Clara had rheumatic fever that affected her heart as a child and the family thought the weather in Missouri might be beneficial to her health. She met Francis Martin Koca in 1948. Clara’s father, Clifford, coached a baseball team, and Francis was one of the young men who came to play baseball there. He nearly moved to California to find work before he met Clara. Clara also was friends with Francis’s sisters, Katherine and Dorothy in high school. Clara graduated from El Dorado Springs High School in 1949. She was married to Francis on June 26, 1949, ten days after her 18th birthday. After marriage, Francis and Clara moved into the home where Francis grew up that his father, Joseph still owned. In 1951, Edward Francis Koca was born. When Ed was an infant, the family moved to Wichita where Francis worked at Boeing Aircraft. Francis was allergic to the metal used in the aircraft, so the family moved to the farm near Virgil City where Cheryl was born. Clara worked at the Shirt Factory for a few years. She was an excellent seamstress and sold doll clothes, wrote children’s stories which she sold to newspapers and magazines such as “Grit”, as well as selling ideas for crafts to newspapers and magazines. In the 1970’s, Clara went to work for Matco which became Place’s and then Pamida, at first as a clerk and then in the office. She retired in 1998 after twenty-three years working at Matco/Place’s/Pamida. Her retirement years were spent on the farm enjoying her grandchildren and then great grandchildren, sewing, reading, and working in her garden. She moved to the Stockton Care Center in February 2013. Clara was preceded in death by her husband, Francis; parents, Clifford and Elsie Harding; two brothers, Clifford Harding, Jr. and Raymond Harding; sister, Barbara Nikodim; and several sisters-in-law and brothers-in- law. Clara is survived by her son, Ed and wife Kathy; daughter Cheryl and husband Jeff; grandsons Adam Koca and wife Sarah, and Brandon Davis; granddaughter Lara Marple and husband Craig; great grandchildren Ethan Walker, Arwen Koca, Jaxson Janes, Sophie Janes, and Killian Janes; sisters-in-law, Katherine Renfro and Ruth Koca; brothers-in-law Glen Koca and Ernest Nikodim; and many nieces, nephews and friends. Clara will be fondly remembered as a great mother, grandmother, great grandmother and friend. Funeral services for Clara Koca will be held on Wednesday, July 8, 2015, at 11:00 a.m. at Bland-Hackleman Funeral Home. Lara Marple will officiate. Burial will follow in Virgil City Cemetery under the direction of Bland-Hackleman Funeral Home. Pallbearers are: Mark Koca, Mike Koca, Danny Eckard, Zande Eckard, Darrell Nikodim, and Mike Nikodim. Honorary pallbearers are: Adam Koca, Brandon Davis, Craig Marple, and Dan Janes.